As soon as I heard the name of Great Britain’s newly named chief rabbi, I knew it sounded familiar. I met Ephraim Mirvis back in 1986, when I was a foreign correspondent for the Philadelphia Inquirer based in London, and he was the relatively new chief rabbi of Ireland. I was young for my job. So was he. We met when I interviewed him for a story about the remaining Jews of Ireland, prompted by the closing of one of Dublin’s three synagogues and the opening of a tiny museum about Ireland’s Jews. It seemed a perfect metaphor for what was happening to this small but determined community: its young were leaving, as Ireland’s young do, and the elders were struggling to do more than live out their own history. 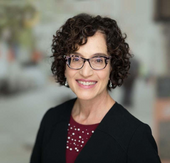 This story "Hail to the Chief (Rabbi)" was written by Jane Eisner. But as I wrote at the time, those who stayed enjoyed a religious and civic life that was probably among the most comfortable in Western Europe. Ireland’s own religious emphasis — with a population about 94 percent Roman Catholic and heavily dominated by the church — made it easier for the Jews to keep to their ways. Mirvis was only 28 when he was appointed Ireland’s chief rabbi the year before we met, and honestly, he still seemed to marvel at the position. Although he was presiding over an entire community that is probably no bigger than the membership of a large American synagogue — fewer than 2,000 people at that time — he was granted high status in Irish public life. Government protocol placed the chief rabbi ahead of even the prime minister at state functions. He appeared on prime time Irish television twice yearly, before Passover and Rosh Hashanah, to explain the Jewish holidays. Now, he is really important.